Casa Loma is probably one the most prettiest venues that I have worked at. 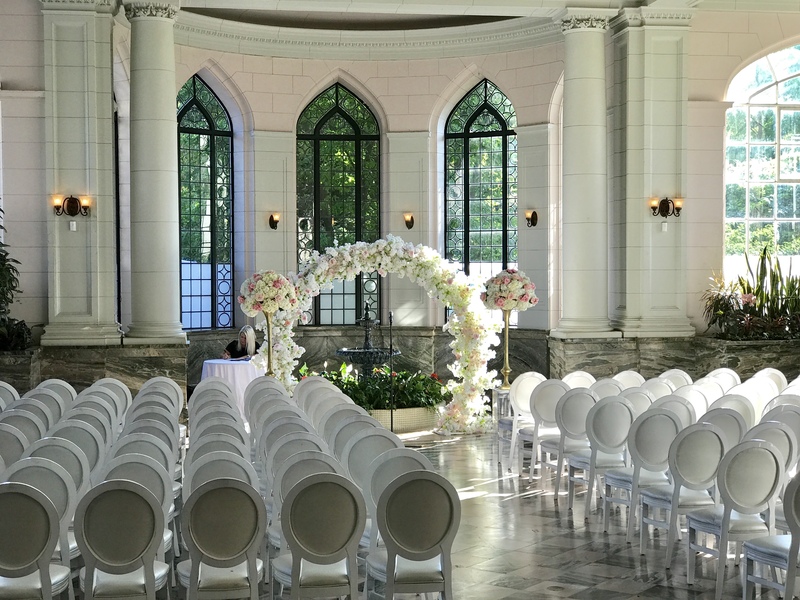 Their indoor ceremony location is filled with beautiful phalaenopsis orchids, stain glass architectural design and is just simply dreamy. Here are some photos from Pauline & Ed's wedding.